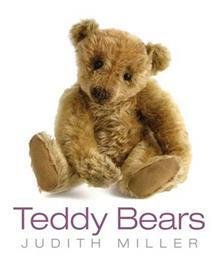 This title features 300 specially commissioned photographs of adorable teddy bears from around the world. It contains information about the styles, designers and makers, from antique Steiff bears to modern artist bears. It tells the story of how the teddy bear became a child's best friend. This is the ultimate book for teddy bear lovers. Octopus Publishing is the leading publisher in the antiques books market accounting for 41% of purchases in the 52 weeks ending 27th May 2007. Source: BML's Books and the Consumer survey 2007 Issue 17: Art, Antiques & Photography books. Judith Miller began collecting in the 1960s while a student at Edinburgh University in Scotland. She has since extended and reinforced her knowledge of antiques and design through international research, becoming one of the world s leading experts in the field. Her expertise includes historic interiors. In 1979 Judith co-founded the international best-seller Miller s Antiques Price Guide and has since written more than 100 books, which are held in high regard by collectors and dealers. Judith is a regular lecturer and contributor to numerous newspapers and magazines, including Financial Times, BBC Homes & Antiques and House & Garden, and appears regularly on radio and TV. She is an expert on the BBC s Antiques Roadshow and co-hosts the popular BBC series The House Detectives, ITV s Antiques Trail, and Discovery s It s Your Bid, and has appeared on The Martha Stewart Show and CNN. She has lectured at the Victoria and Albert Museum in London and The Smithsonian in Washington.